When Star Wars The Complete Saga was released on Blu-ray, one particular deleted scene had fans salivating. It was teased at Star Wars Celebration V, during which George Lucas revealed the scene during an announcement for the upcoming HD release. In it, Luke Skywalker finishes building his second lightsaber – the first he has constructed himself. Having arrived on board the second Death Star and spoken with Moff Jerjerrod, Darth Vader is seen walking down a corridor, heading to his meditation chamber. 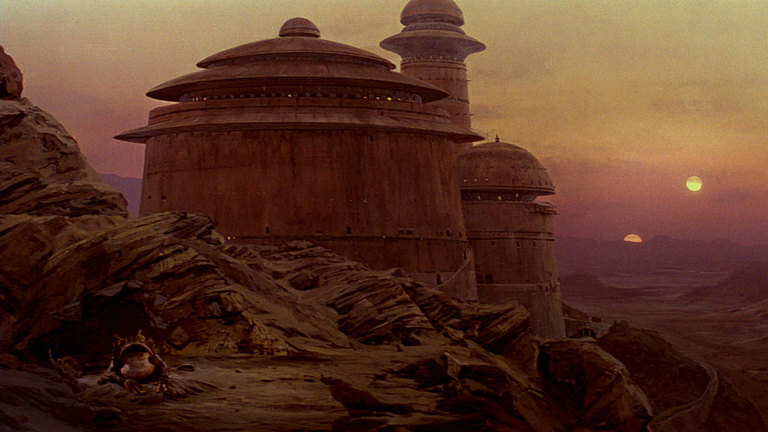 It is either the same one seen in The Empire Strikes Back, or more likely the Dark Lord of the Sith has multiple chambers in various locations. From it, he calls to Luke Skywalker through the Force. The scene wipes to Luke Skywalker, who is hearing his father’s words despite being in a completely different location. Luke is inside a cave on Tatooine, where he is completing the building of a new lightsaber. R2-D2 is with him inside the cave, and although not seen, Luke must at this point store the weapon inside the astromech droid. R2 joins C-3PO outside the cave, where the Millennium Falcon can be seen in the distance. It is clear why fans have always been eager to see this deleted scene. 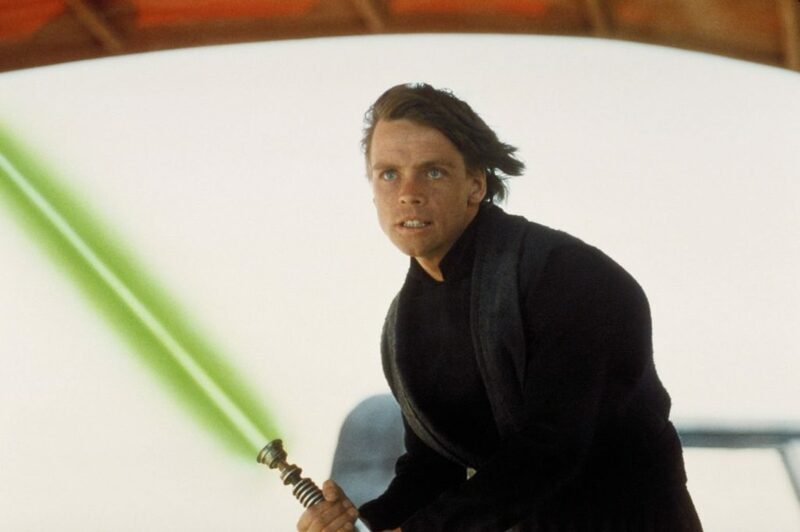 There is a great childhood moment when watching Return of the Jedi, and for the first time Luke ignites his lightsaber to reveal the green blade – it is the first time a lightsaber has been coloured anything other than blue or red. It leads to so many questions – when did he build it? How? Thankfully Han Solo spent most of his stay here enclosed in Carbonite. This is another occasion – as Mark Hamill has joked before – of Luke Skywalker’s original introduction being cut, in favour of starting with the droids. Seeing C-3PO and R2-D2 arrive at Jabba’s Palace, with the former full of concern and trepidation, sets the audience up for just how feared the crime lord is. When Luke arrives later, casually using the Force on Jabba’s minions and strolling in confidently, it shows just how the character has progressed through the contrast with C-3PO. 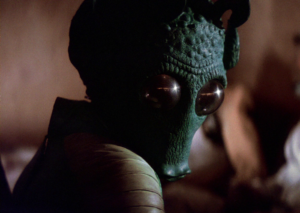 Removing the scene also allows the Rebels’ plan to remain mysterious. Seeing Luke and the Millennium Falcon before the antics inside Jabba’s Palace would have made the audience aware that the entire gang was there on Tatooine and had something in place. 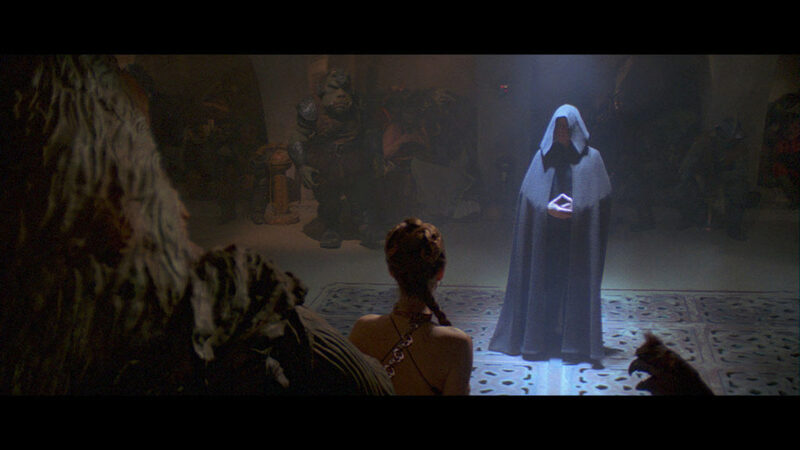 In the film itself, each character is introduced one by one, with Luke and Leia’s involvement kept as a surprise reveal. Luke Skywalker’s powers have grown since The Empire Strikes Back. In terms of character beats, this scene would have established in the very opening of the movie that Darth Vader was still intending to reach out to his son. It echoes the scene at the end of The Empire Strikes Back, when Luke is on board the Millennium Falcon and his fallen father calls to him from the bridge of the Executor. It also shows that Luke is ignoring his father’s call, confirmed when he ignites the lightsaber and a green blade is emitted. Up until that happens, the audience can interpret ambiguity from Luke’s face shrouded in shadow. There are some good reasons for this scene to have been omitted. One is the amount of repetition and exposition that it contains. Anyone who saw The Empire Strikes Back, which is a hefty percentage of the audience for Return of the Jedi, know that Darth Vader wants Luke to join him. They also know that he lost his lightsaber – the idea that anyone would be confused by Luke showing up with a new one is pretty silly. C-3PO has a particularly on-the-nose piece of dialogue too, even by that character’s standards, when in the excised scene he says, ‘why couldn’t that bounty hunter have taken captain Solo to a more pleasant environment?’ Again, the audience knows that Han Solo was taken by bounty hunter Boba Fett and where he was being taken, then a few moments later C-3PO will mention that he and R2-D2 are heading to Jabba’s Palace. It’s all too expositional and presumes that the audience can’t remember what happened prior. The other issue that the scene presents is giving the impression that little time has passed. If Luke Skywalker had been adventuring with the Rebel Alliance for the past year, surely he would have constructed a new lightsaber earlier than this. Darth Vader calling for Luke again also seems to be happening soon after the events of the previous film – unless he has been calling to Luke every day for the past year. By allowing Luke to show up with a new, unexplained, lightsaber and to not specify exactly where the characters have been, the audience immediately accepts that time has passed since the last movie. Jabba should have listened to Luke in the first place. Something else that Star Wars has always done well is leaving plenty to the audience’s imagination – the various comics and novels should leave some mystery rather than seek to fill in every little gap. Having fans wonder how Luke built his lightsaber, who devised the plan to save Han, for how long Lando Calrissian has been undercover for, all add to the idea that the audience has been thrown in to the middle of an ongoing adventure. This scene provides a little bit of fan joy, in seeing Luke complete his lightsaber, which has even more resonance knowing how integral this is to a Jedi’s growth from the prequel era stories. It is also an undeniable treat to see any new footage of the classic trilogy cast bringing the characters to life beyond what was seen in the movies. But this scene was right to be removed, as it takes away the gradual escalation that occurs in the finished film and robs it of the mystery surrounding the plan to rescue Han Solo.